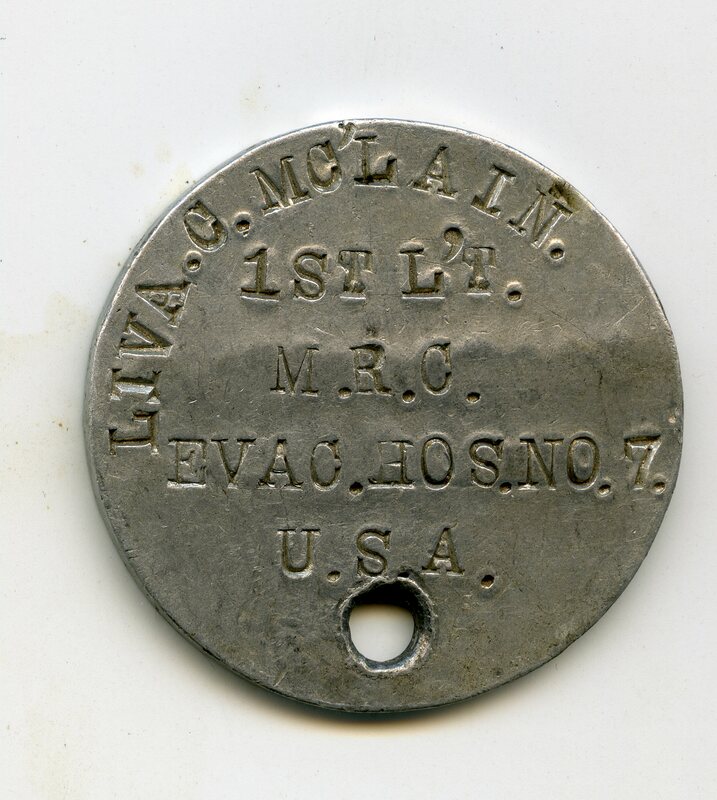 I recently picked a nice WWI dogtag from a medical officer named Liva C. McLain, and found that he likely served as a surgeon with the 7th Evacuation Hospital at Chateau Montanglaust in France, a hospital especially equipped to deal with those wounded with mustard gas. The 7th Evacuation Hospital was organized on 26 November 1917, at Fort Riley, Kansas, as Evacuation Hospital Number 7. The organization participated in WW 1 in the following campaigns: Champagne-Marne, Aisne-Marne, St Mihiel, and Meuse-Argonne. It received a decoration streamer with colors of the French Croix de Guerre with Silver Star, embroidered St Mihiel-Msuse-Argonne. The organization was demobilized on 1 May 1919. 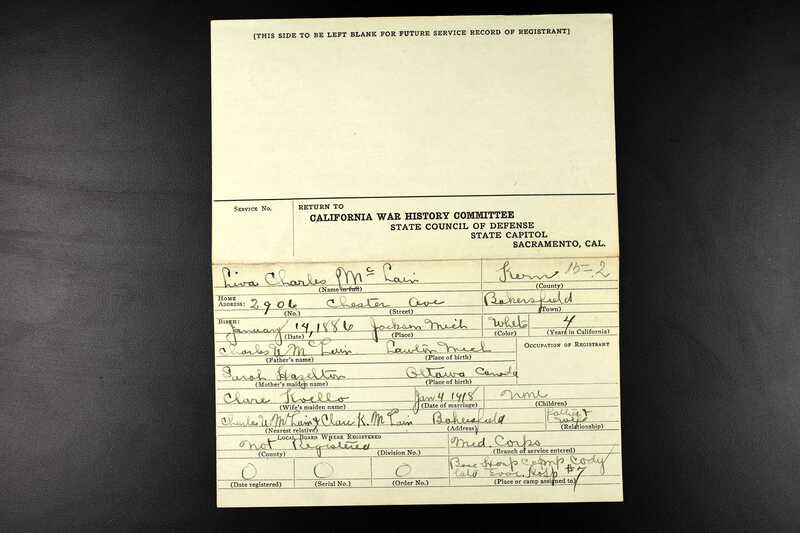 In an effort to reevaluate some of my WWI collection material, I decided to do a new ancestry search on Lt. McLain. I came up with an interesting document to confirm the above information. Nothing earth shattering, but it provides a bit of clarity to the presented information. 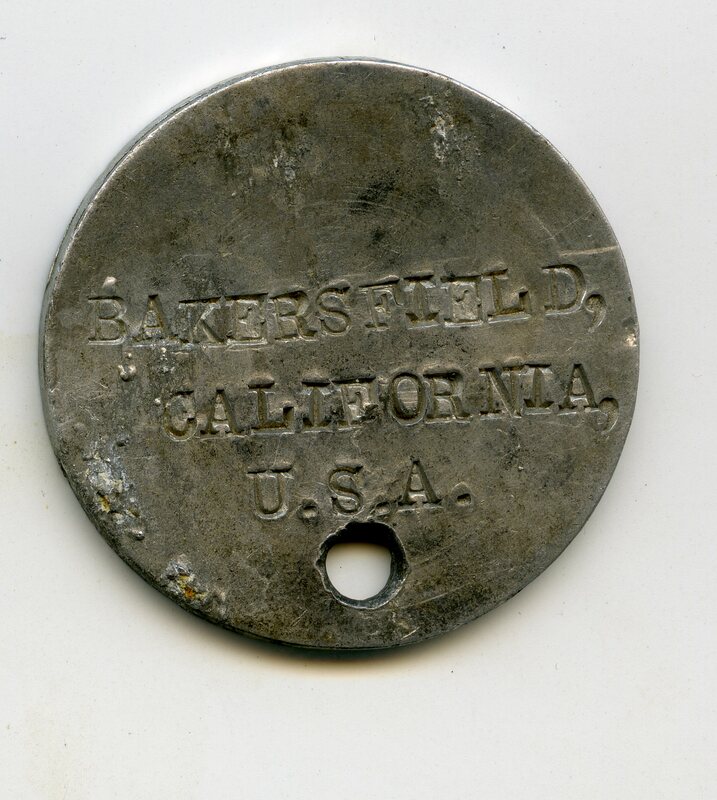 You mention 3 tags, but only show the obverse & reverse of one here. I assume 2 are identical as shown above, which would have been worn around the neck on a cord similar to shoestring. If the third is an oval-shaped tag with a small chain attached, that would have actually been a wrist ID bracelet worn on the left hand. This was to maximize the opportunity to identify the body even if it was badly mutilated. Thanks for the info! The other two are identical, so I didn’t take the time to scan them. Reblogged this on Portraits of War.